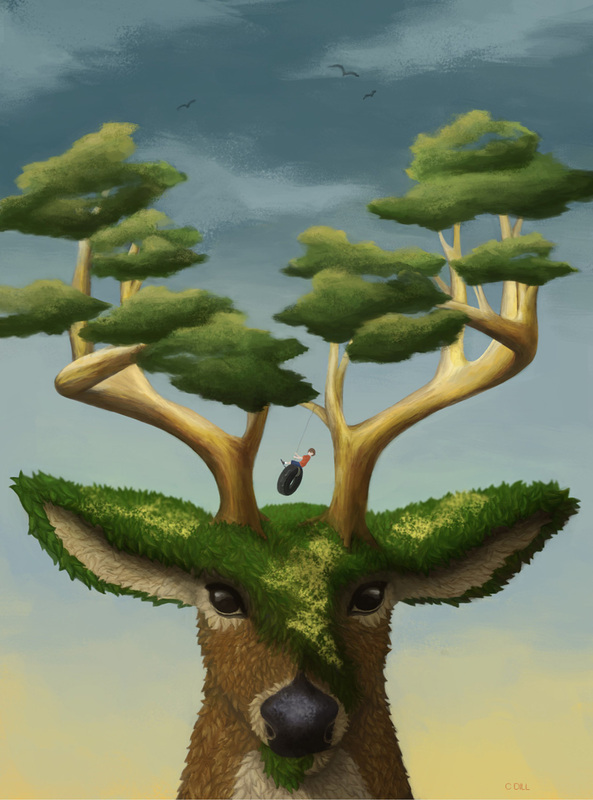 This surreal piece depicts a miniaturized world on top of a deer’s head. Huge trees stand in place of antlers, and his piercing gaze ensnares the viewer. A boy swinging from the trees atop his head completes this surrealist illustration.